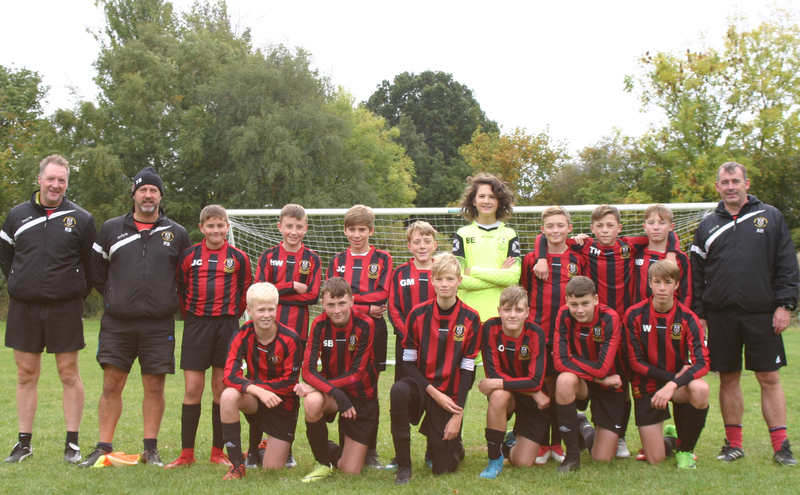 Gomersal & Cleckheaton U14 White 4 vs. 3 Queensbury Celtic U14 Cougars - 2 December 2018 - Under 14 White - Gomersal & Cleckheaton F.C. A strong start from the boys today with a goal on 8 mins from George Martin, assisted by Tim Hill. This led to complacency and we were 1-1 on 13 mins. A further goal by Queensbury on 23 mins meant 2-1 down at half time. After a rallying speech by Adam the boys showed spirit and passed the ball well, Callum Snowden with a great over the top through ball and Tim Hill scored with a good finish on 10 mins to level the scores. A sustained pressure by the away side saw them score, helped by a dubious line decision on 20 mins, 3-2, the boys facing defeat but weren't finished, they showed team spirit and gathered momentum, pressing well. Lewis Wilkinson found Sam Bottomley who neatly finished and levelled the scores 3-3 on 28 mins, our defence was strong and it was all Gomersal chasing the winner, which came on 35 mins with an assist by Josh Carney who found Luke Oldcorn with a great finish to claim the winner. The boys showed massive character today to turn around a difficult game. Well done boys!.